I’ve always got an eye-out for events that could stir the imagination, and a brand new festival in Staffordshire seems set to tick that box with a flourish. Taking place on 30th April till 2nd May 2016, the three-day extravaganza aims to celebrate the history of Rudyard Lake in Staffordshire, and the spectacular feats of daring it attracted. Organisers Wild Rumpus are declaring A Day At The Lake as “an ambitious, large-scale outdoor experience. For one weekend only, Rudyard Lake in Staffordshire will be reimagined as it was in the late 1800s as an excursion place for thousands of day trippers. 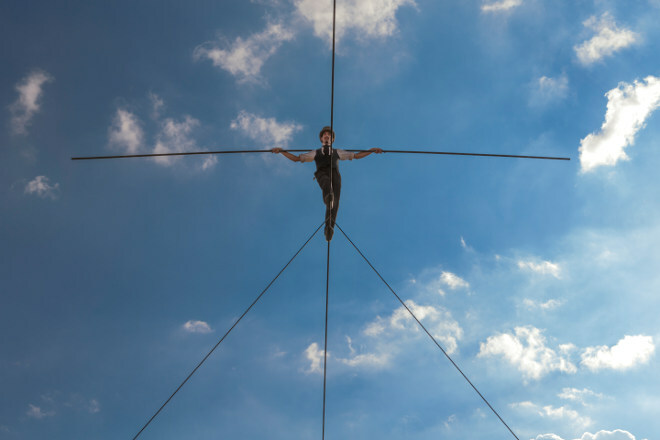 Highlight are set to include Chris Bull’s daring recreation of a wire walk by 19th century legendary tightrope walker Carlos Trower, aka The African Blondin. There will also be outdoor theatre, literary events, storytelling, orchestras and dance from regional, national and international artists, authors and performers. Michael Symonns Roberts (winner of the Forward Prize, Costa Poetry Prize and Whitbread Poetry Award) has been commissioned to write a new poem inspired by events at The Lake to mark the occasion. Rudyard Lake itself was one of the first sites of mass tourism in the UK, and you’ll be able to immerse yourself in times gone by with rowing boats, walks and steam trains while enjoying world-class outdoor arts. 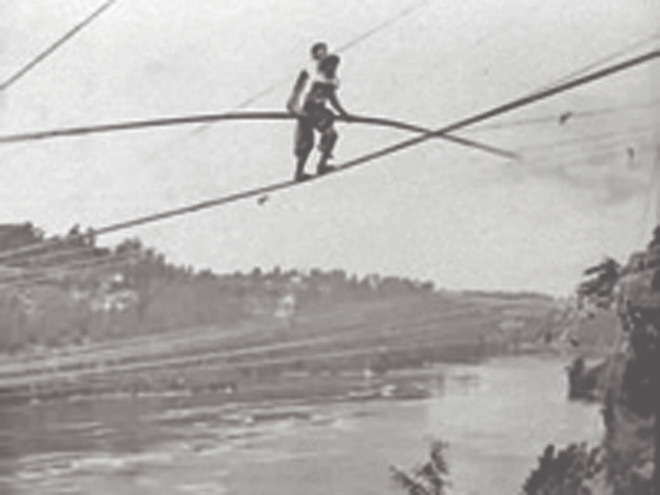 Up to 20, 000 people a day would visit to watch incredible spectacles and feats including Carlos Trower The African Blondin, walking a wire 100 feet above the lake in 1864 and 1878, drawing huge crowds. Visitors to the lake included John Lockwood Kipling and Alice Macdonald who named their son Rudyard Kipling after the beauty spot where they first met. A Day At The Lake will be the first event of this scale at Rudyard Lake for over 100 years and marks the first Staffordshire Day on 1 May 2016 – a day marking 1000 years since the county was first mentioned in the Anglo Saxon Chronicle. Got that? Quite simply, masses of inspiration and fun. Early Bird tickets £12 adults, £6 child, under 3s free. Find full details at www.dayatthelake.org.uk. This entry was posted in News and tagged A Day At The Lake festival, inspiration, literary events by Judy. Bookmark the permalink.